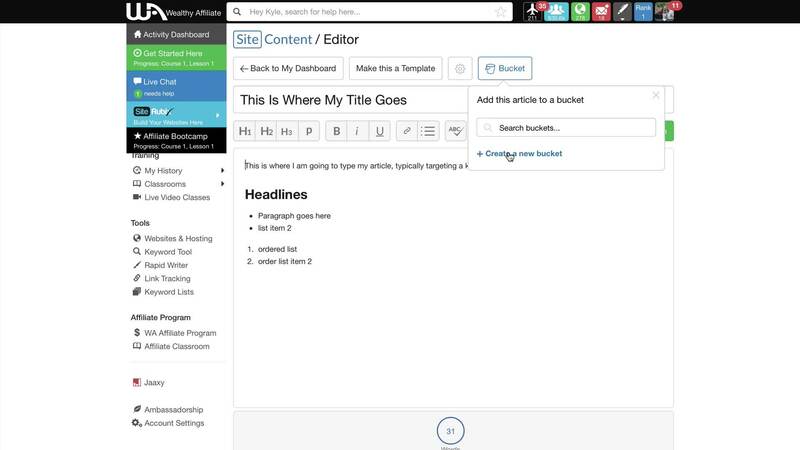 SiteContent is the ultimate writing platform for content marketers, authors, and webmasters. This platform offers you an experience that is chocked full of features that will help you simplify your writing, improve accuracy, increase efficiency, set and meet goals and organize all of your writing activities in one central place. And here are just some of the features available within version 1.0. As with all the platforms and technology here at WA, we are constantly improving it with each day that passes and we have some significant updates coming in version 2.0. If you have any questions about the SiteContent, any of the features, or how to use it (or suggestions for improvement, please leave your comments below. In my most recent post, I managed to create a print screen of the Wealthy Affiliate dashboard and other parts of the WA website. Then I dropped them into an image editor (I like befunky.com), and cropped parts to use as images in my WA review posts. It was pretty tedious. Art was never my strong suit. Is there an easier way to obtain these images? I have seen many reviews that include images from the WA website. If you're on a Mac you can use Command-Shift-4 and click-drag to take a snapshot of a specific area. On Windows you'll need software like SnagIt or something similar. on a Windows pc you can use the windows button and the PrtScr one at the same time which saves the screen to your desktop "pictures/screenshots" folder. You can find that image and edit it to make it usable. I have photoshop and I also use "PicPick" sometimes. I may have already responded, but I don't see it, so I probably clicked something I shouldn't have and it disappeared. Thanks very much for the Snagit suggestion. It looks like the perfect solution for me. Can't wait to share it with my wife in the morning! Any time...just to be fair I only know about it because my company uses it. It works well though. It will even do screen recording if you want to create a video. To keep things simple, I do screen shots as mentioned below. Then I open them in Microsoft Paint and edit them. From then on I muck around with Canva. I read a post from Kyle the other day encouraging us all to use Site Content/Editor to write all of our posts and then transfer them to Wordpress. I'm trying hard to do that but with the new Gutenberg block editor, I am getting confused. And then my website header is supposed to be 1600x500. I thought it would be cool to have access to all these images, but I can't figure out how to figure out how much to crop. The other image editors seem to be way out in front of the Site Content image editor. So I tried to download or copy an image to another editor and no luck. How are we supposed to use Site Content/Editor if it won't do what we need? Am I the only one? To address your editor concern, Site Content is an editor in its own right and doesn't use the block editor style. If you're referring to the block editor in WordPress itself, go ahead and install the Classic Editor plugin. It will give you the old editor option that you're probably more comfortable with. As for the images, I'm able to select and image in Site Content and add it to my post, once there I can right-click it and download it to my computer to edit it. I can then delete the original one and upload my edited one. Oh man, that is so helpful. I actually started about the time Gutenberg was introduced and decided if that was the new standard, I might as well start with that. So I don't know much about the old editor, which is part of my problem. But I think I can deal with that one, and now that I know how to take full advantage of the images, I am good to go. Thanks very much for your help. Once again, the WA community comes through in a big way! Any time man...Glad I could help. Hi - no, all the articles only appear on your own website. It is absolutely fine to write and publish directly through WordPress. I've had similar problems. Page vs post static?? thankfully, we can go back over many times!! Thanks Diane.Lovely of you.Let me get back to work. I can honestly say that this is such an awesome tool and since reading the "Complete Walk Through Video", WOW, I learned so much more. I find the goal setting add on to be of great value as it keeps me on track with regard to the amount of content that I create. One thing I do notice is that Images is not covered in the tutorial and that is where I have an issue! Once I hit the image icon, choose a category to consider for my article, and I don't find a suitable image, I can't seem to be able to close that image window but have to hit the "Back to my Dashboard icon " in order to escape out and close the image box. I hope that I'm explaining myself with sufficient clarity for someone to point out what I'm doing wrong and point me in the right direction - Or are any of you guys experiencing this dilemma as well? I wonder that if there was say a "close icon" within the image search box this would nullify the issue I'm talking about. I've answered my own question and what a dumb question it was as the answer was right in front of me. All I did was hit the Image button again and it closed the Image box!!! Finding things for yourself is sometimes better than having someone explain it to you. Looking at the WA platform in the video, it's amazing seeing the platform of today and how much they have improved upon it. Looks much better. I like the idea of saving templates for reviews so that I can just plug in the template and edit in the information for the specific product. I think that will save a lot of time. I only use site content, I like the whole set up. I can keep track of how many words are in each post, at least until I edit them in WordPress, The writing stats and templates I find very handy as well. I had a hard time at first with adding the linked images in sitecontent, I have figured it out though and have created some wonderful articles there. I know a lot of members add post and pages directly from WordPress, I have tried that one time and ended up copying and pasting everything into sitecontent . If more members used sitecontent , it could create a personal competition for words written on our blogs. It tells you how many words you have written compared to other members. Thanks for highlighting the wonderful aspects of sitecontent. I like most of what you have written sfortson with exception to the concept of of comparing our own achievements against other members. Primarily because we all work according to our own individual work ethic and skills which makes it difficult to compare to another person's work ethic and skills. However, maybe your idea could be turned around by you setting a personal challenge and then asking a fellow member to hold you accountable to your chosen goal/s. And they to you. It's just an idea. With the personal competition I had mentioned, I just ment like a motivater for your own personal self. Your idea is a great idea as well. If a member felt like they needed help keeping up with blogging, this would be a great motivational tool! The SiteContent creator is great for goal tracking and keeping me motivated. However, I am having issues with some of the fundamentals. If I want to add code and actually embed a YouTube video or some other video (I want it to be local to my post not linked) how do I insert the code into the back end of the post? On the regular site editor I can easily go into the raw text and write any html/css/java I need in order to make my posts more interactive and captivate the audience. However, I don't see that feature here. Am I missing it? Lastly, how do I insert a PrettyLink? Often times I want to disguise my links as redirects so they are not blatantly affiliate links. Is this an outdated practice maybe? It seems that the option to utilize PrettyLink has been hindered in both the new WordPress version 5.0.2 and the SiteContent editor as well. I create my posts in Site Content and then pretty much do all you’ve said after I’ve posted, on my site’s back end. So essentially what I'm gathering is that we need to post and then edit. I guess I won't be using much of SiteContent, and why I haven't thus far is primarily due to the fact that I usually try and knock out all aspects of the post at once. Thanks for the tips and the clarity! Don’t count Site Content out so quick. It optimizes images when you publish, gives you access to WA’s free images, tracks when you’ve been indexed by Google and more. I'll give it a go and see if I can't weigh the benefits and then decide. Interesting, that didn't work out for me. I had to go back in through my backend and optimize and reupload images with EWWW Optimizer when I saw the images I was posting via SiteContent wasn't optimizing and making my site slow. Odd..did it miss just one or several? Quite a few. Fortunately I just started so I had to rip out a couple of pictures from one or two articles and manually had to reupload them onto WordPress, and then optimize them using the EWWW Optimizer plugin. That's actually interesting because I have noticed a few of my pages lagging. Maybe I need to check in on that and see if swapping the images helps. Also try setting SiteSpeed to Extreme. That really helped for me as well. I did double check that I had it set to Extreme. I think that is default for most. I have used Site Content from the very beginning and it has worked fine-until I started putting in images. Or I should say, tried to put in images. Somehow I got over to WordPress and I could get my images inserted. I swear i do not know how my posts shifted to WordPress, but ,there they are. My problem is, I do not know how to navigate WordPress. And don't tell me to go back and read my lesson--I've read it --and everything else-I can find-even your questions and answers. I can outline my posts complete with images-and write them out in a reasonable amount of time. The mechanics of getting started and navigating through are eating up my days. I'm losing a lot of time which is getting very frustrating. I have to say, reading WordPress didn't help much. A point in the right direction would help. Thanks in advance. I'm sure if you work with the WordPress editor and backend you'll get used to it. It's not harder than the WA dashboard or SiteContent, just different and a lot more options. On the left you have the menu, there you find either posts or pages where you should find what you published from SiteContent. Thank you Helen. I'm afraid I will need to look this over several times before I make anything out of it. the computer language is a bit confusing for me. Once I figure it all out, I'll wonder what all the fuss was about. It is very frustrating at times. It is difficult to get the hang of things when they look fine in a draft, but changes when published. You keep plugging along and so will I. For me the images are taking an exorbitant amount of my time. Keep one window open with your site on it with you logged out. When you make a change in the editing and publishing, you can see it more readily. There is a difference to me between the view and the published. I do hope to be of service to you some day. Thanks for your message. I agree that putting in the images takes much more time than I think it should, but I'm getting a little faster with it. I'm having trouble getting them the right size I want so they look like I planned. What I have in my mind's eye isn't always the way it sets up in the final view. When I change the image dimension invariably heads or whatever isn't in the finished image. I keep watching suggested lessons, you know of any, I can share if you need. I'm on another browser at the moment. All my stuff is open on another browser. I'll track you down with all the ones I've been given today. Can we make up templates and include an image holder where images can be inserted? Hey guys, little help please. Has anyone encountered a bug where your article in site content is not showing up? I'm getting a blank page when I go to open one particular article, although I have saved it with over one thousand words written. Any help is appreciated. Did you for sure write it on site content? I know sometimes I would have written it directly in WordPress. If you did that, then it will not show up on site content. I'd consider closing and reopening your browser and seeing if that helps...maybe try another...if it's still missing I'd reach out to Site Support and see if they can help. oh my! I can't believe I haven't tried that yet... it opens in internet explorer but not in chrome, it's the only article that does that for some reason... strange. Got it Chris thanks mate, It was a bug with chrome browser. it opens with internet explorer thanks to @merlynmac for suggesting using another browser. Any time...That's why the WA community exists. I have a question about the difference between a post and a page . I know what page is--in a newspaper, a book, etc. but can't quite visualize what a web page is. Right now I have 4 of those necessary privacy, etc. posts on my website, an article about me, and 3 full size articles. And I'm going to be writing more and more ,with different layouts and pictures. I need to organize. Barbara, your posts are your articles that you"post" and can be read and commented on on your blog roll. Your pages are in your header and do not get comments on. Your 4 (privacy) are pages and your 3 articles are the posts. Thank you for referring me to the video. Cleared that up. Little points of light are brightening up the fog. This can do a better job than I can in explaining it. Maybe you haven't gotten this far in the training? Creating Custom Menus on Your Website As someone who likes to tinker, I would routinely get ahead of the training. Good luck! I realized my first reply probably doesn't help. Go to Posts, Add New, and write your post. You can then link it to the Menu later. After the post is created, go back and edit your menu, you will see them magically in there on the left of the screen. Just check the box next to the page, and click add to menu. Once you do that, you can drag the items around the way you want.. Hope that helps. Don't forget to "Save Menu" when you are done. Someone, will talk about something, and I want to do that, ...Now! After doing seven posts to my website, I started creating my content in Word and then pasting to the post in Wordpress. I see down below there are others that do that. It is just much easier for the way I write. Also, my posts have lots of videos and images and I do not want to publish without those in the post and then have to add them later. I see there is a way to add the images in Site Content from others down below that I didn't notice before. Does the amount of content stored in the WA Site Content section have any effect on my WA ranking? I have noticed that moving up is impossible even though I am publishing 2-4 posts per week. I had thought that publishing was part of the score. In not using Site Content to publish my post I lose out on getting it checked for being correct with google. Can I get that done through using the wordpress direct publishing somehow? I'm too new here to fully understand the rankings thing so I'm not sure the exact effect the amount of content stored in Site Content has on your ranking although, I'm sure it is factored into the algorithm. I've written both ways - in Word then copy/paste into the WordPress editor or the Site Content and I prefer Site Content. Your post will show up in both places, but unlike the WordPress editor, in addition to checking off all the little boxes before publishing and (this may just be me) it seems my pages are indexed quicker when I go the Site Content route. I hope I at least partially answered your question! I am concerned about indexing. Many of my pages are not, from what I can tell. Also at fetch google in the search console I have 6 that indicate indexing requested and 18 where they indicate redirected, which seems they are not allowing the function to process. I fear I have wasted a hell of a lot of time writing content incorrectly somehow. Search engines do not see content stored in site content, the search engines only sees the material that you have published to your website. If you click on the blue rank number it will take you to the ranking system and explain everything on how to improve your WA ranking. It appears you are mixing the WA ranking system with the search engines ranking systems, which are two completely different systems . Your WA ranking is directly associated to your activity level on the WA platform and has no relevancy to the search engines ranking system not does the WA ranking have anything to do with potential money earnings. However, the important ranking system to be concerned about is that of the search engines, that ranking can make a large difference in the amount of natural traffic your website receives on daily basis, and this improves you chances of making money. Yes content matter to the search engine rankings not only the amount but the content as well your post as a new website should be over 1,500 words of quality keyword relevant material, to help improve the odds of getting ranked easier. Go to copyscape.com and put in the link of the page/post you are wanting to check and it will tell you everything that is duplicated, then it is a matter of just rewording that content and you are worry free of plagiarism or copyright infringement. Thanks for the copyscape site and the rest of your response. Before your response I already realized that the my rank at WA has nothing to do with ranking at the search engines. So my ranking at WA is a separate issue. Within the 3 categories for rank at WA is creator rank. Mine has been going down while my creativity of site content through wordpress has been escalating at an ever increasing pace. Unfortunately it is not logged into the Site Content of WA. Therefore, my guess is that I do not get credit for all my posts as a creator at WA. Or the question can be, does creation of content anywhere, at wordpress or at Site Content on WA, have any effect on WA rank? What goes into my "Creator" ranking? Why should I care about rank at WA? Maybe I should forget about it, particularly if I don't even have a clear idea whether or not what I am doing has any effect on my rank. If anyone can clarify how I get the "Creator" part of my ranking, I would appreciate it. Writing content can will never be a waste of time unless.... You are just putting shady content out there. Give it time my friends, and if all else fails... Keep writing more content! I guess the most important thing is at least one of your post gets to first page. once people can find your website easily, the non indexed posts can be additional reads for visitors who is looking for this niche. So, your effort is not completely wasted. It is a hit or miss to get into the first page. correct me if I am wrong. as off feedback there is not really a need to point out the “star” points of your presentation skill, as it is obviously well polished gem, but I will give You a critical points, where I am annoyingly picking on the smallest structural weakness one would normally not even think off (as your natural way off laying stuff out is easily “digestible”). I think that once You finish this sharp version of tutorial, You may want to give it a second rum, where You try to eliminate all the unnecessary descriptive/or repeating “obvious factual information” - e.g. geeting stuck for a minut on explaning the function of sorting button, etc. I think if You re-run Your sharp presentation second time aiming to eliminate unnecessary “sauce” spots; You may cut it in (time-wise) by 30-50%, what is very attractive for a viewer, as the tuition proceeds at good speed... But thats just my view as I like to learn quite quick. Critism is the most valuable thing/FB we can get out of any situation. We do not learn anything from praise - as it counter-effectively can put us even off guard and a bit delusional- but in critism we can find the answers and values we have been lacking in our “whole puzzle” of the business and main goal of our growth. One thing you have to understand about teaching, Dom, is you don't target the students that are quick to understand and assimilate information - you target the ones that may have a bit of trouble understanding the concepts you are covering. With that in mind, when Kyle includes “obvious factual information”, it is really only “obvious factual information” to folks like you - who, probably, are "quick to understand." But, there are all kinds of folks in our WA family: from PhDs to folks still in high school - folks from all over the world and from different backgrounds. Kyle is correct in being very detailed - in order to educate everyone - not just the top achievers. If the there is too much redundant information for you, it is very easy to fast forward - a minute or so at a time - and go to sections that pique your interest and keep you from being bored with information you may already understand. So this worked great for my first site especially for the privacy and affiliate templates. How do I add them to a new site ? Right now all original content is showing on site content but I don't see an option to publish to any other site but my original one? I created a test post/page to see what I could find to help you. There is a drop down box that is made available to you once you click the "Publish" button for the post or page you want to publish. Ok so if i am understanding correctly from site content u go to template to rechoose the privacy and affiliate etc first ? After editing this will bring up what triblu said. Am i understanding correctly ? I've not built with Wordpress, but I still use the Site content for images (as they're optimised when inserted), and pasting in my article to check the word count and then saving them as drafts. The stats say I've written more than 92% of WA members this month with 6 articles written, so either members aren't writing much, or they're not using it, so not sure if that's accurate? I'd like it to be able to connect to external websites to track my stats and indexing etc, but appreciate that's probably not going to happen without using WP. Well, Mark, I'm one of those die-hard folks that deal directly with WordPress. That's not saying that SiteContent is not a good tool - it truly is. I just am more comfortable going from a Word document to WordPress and then doing my final tweaking before publishing. I have an ongoing problem in creating content. Yesterday, for the third time, I was most of the way through writing a post. I clicked Save every few minutes. I had to meet a guy and clicked save again. Then when I opened my computer, the entire post was gone. This is the third post I have lost like that. Very frustrating. Surely, Wealthy Affiliate has a way to retrieve drafts. I just don't know how or where to look. Any advice? Until you figure it out, Thomas, it may behoove you to write the post in a Word document and then upload it to your WordPress. I figured it out on my own. Down on the right side of the WA page is a button for "Drafts". No one every pointed that out...or I missed it. Either way, my draft was there. Thanks. I'm not crazy about the stats. I've created 26 posts and 4 pages on my blog but they were created on my blog platform. I haven't written much on SiteContent but I wish it would reflect all the work I've put into my blog. I also don't like that there's not undo button. Is there any kind of "penalty" for not using SiteContent? None whatsoever, it's just a good tool for images and making sure your content is unique. Hi. I have some questions regarding SiteContent. Is saw the video but I may be missing something. 1) Is there an undo button to return something to the way it was before making a change? 2) I will highlight a section of text to change the format to H1 for example and the rest of the document changes to H1 formatting. I'm sure I'm just missing something that probably obvious. Thanks for your help. No there isn't an undo key and I would really like one! I see this question a lot so just sent a PM to SiteSupport. Let's wait and see if anything happens. For the H tags to work, the word or phrase has to be on a line by itself. If you have this and you still get the same problem make sure you have entered after what you want as you H tag. You can do this before you set your tag or afterwards. Afterwards just put the space in and then set the non H stuff back to paragraph. Hello. Sadly, I don’t believe there’s an undo feature in site content. There is a revision feature that allows you to revert to previous saved versions but that isn’t ideal for undoing single mistakes. Heading formatting is done to entire lines of text. You can’t isolate individual words in a line for header formatting. If you wish to undo header formatting, put the cursor at the beginning of the text and click on the paragraph icon (“P”). That should return text to default format. Good luck! Thanks for the help. I appreciate it greatly. Many thanks - you guys are great! CMD+Z (Mac) or CTRL + Z (windows) will undo any changes made, unless you've left the page. Thanks for this walkthrough. This seems like an amazing tool with useful features and I've been thinking of using for a while now. I was wondering if the new writing platform connects in some way with the WordPress platform? - Are plugins like All-in-one SEO, WP GDPR Compliance, Ad Inserter (to only name those) supported by SiteContent platform? - Can old content that was written with WP be migrated to SiteContent? Not that it's crucial but I guess it makes it easier to have everything in one place when it's time to refresh some old content. Thanks so much for any advice. I would gladly make that change if I was sure that my website wouldn't suffer from it. Your question: I was wondering if the new writing platform connects in some way with the WordPress platform? My response: yes it does. Taking it for a test drive might be best. Here's a tutorial on using SiteContent: SiteContent - The Complete Walkthrough Your question: Are plugins like All-in-one SEO, WP GDPR Compliance, Ad Inserter (to only name those) supported by SiteContent platform? My response: You do not need to worry about your website plugins when using SiteContent. Watch tutorial to better understand. Your question: Can old content that was written with WP be migrated to SiteContent? My response: why would you want to do that... unless you are speaking about editing or updating your post. In that case, then my answer is "no", as there would be no need for doing that. Once you have used SiteContent you will better understand the advantages to using that awesome tool. You can (and SHOULD) backup your website regularly so that you have all of your website content, theme, plugins, settings... EVERYTHING all in one file should you EVER need to restore your website: Full Backup With a Plugin Hope this helps you. Hi Trish, Thanks so much for your answer! My understanding is that any publish content from the platform can be edited afterward using WP. Therefore everything is available from WP. I'm guessing the plugins should not be affected either. I think I will simply try it and see if it works for me. As you mention I will better understand how I can benefit from it. Correct... no plugins should be affected and you can edit your post after they have been published from SiteContent to your website. In fact, it is advisable to ALWAYS check your website post to make sure you images aligned the way you wanted them too and that paragraphs have been spaced the way they should have, etc. Personally, I have not used SiteContent simply because I have been using WordPress (WP) for a few years now and am quite comfortable using WP. SiteContent helps new writers best with other issues like grammar check and images... you have access to sooooo may free images! You're very welcome. Always glad to help when and where I can. Having ADHD a do a lot of rereading until it makes sense to me. I also do that with my writing. I didn't like my first Domain. It just didn't sit right with me. Who am I to coach people? The second Domain is more my liking: removing-negative-energy.com. My question how do I change Domain names? Hi Rose, it seems to me that you can't change your name Domain. If you think it is needed to change what you can do is to mover your website to a new domain and delete the previous one. Thank & that's exactly what I did. I deleted my first two pages and rewrote them. It's cleaner, more to the point. I got nervous when I saw my Google Ranking do down instead of up. To me, that means I did something wrong. I even paid Jaxy membership & they weren't that helpful. Rose, you can't change the URL of a domain once it is created. You can change the title though. In fact in two places. The apparently ruling place is All in One SEO General Settings and the second one is in Appearance, Customise, Site Identity. When I started I didn't know this so I did mine in Appearances. When we got to the AinO SEO, I forget I had done this and gave it another name. I don't know if this has been a problem but now I can search my site on two titles! Oh thank you, Helen, after months, at last, I understand why... my site has two titles. I think it took me longer to figure it out! Yes, that's what you would focus on. Make sure you 'publish' the posts you have written directly in Wordpress - they're likely still in draft mode. on the website they should appear under the blogroll or through the category you linked it towards. @StevenEsser, I just found out in my pagebuilder for my Blog page I had listed the number 1 for the posts to show :) Oh well, live and learn. Thank you for all your help though! I am wondering how did my content get here? Or is this a normal procedure? Question: What is the bucket for? P.S. Excellent job of explaining SiteContent. I deeply appreciate all the hard work you and Carson (hope I got his name right) did for educating people like us who want to make money on the internet. I never knew what Affiliate Marketing meant, until now. May you & Carson continue receiving blessings. The bucket is basically a folder to store your content with - an organizational tool. Hahaha, thanks Rose - not all of them, just more than my fair share. I do it later after publishing to WordPress. Hi Kyle I finally thought I got my new Post, and I missed something because I do not see it Post like the one before, Somehow, I been trying to see where it does not show me the plub that you ciick on. Can you help me get that, please? Ok is it possible for you to get a screen shot of when your logged in? Cbarns, what do you mean? Unless you said is it possible to snap shop of my login? I know just looked at it few min. I will try to do this and get back with you. thaks. I hope I sent the message to you, it's under Diane's Cleanliness, dated June 29,2018 @ 23:18 edit was on that line. unfortunately nothing came through. The file might be too big. If you hit the publish in WordPress it should be live. I don't use Site Content myself so if that is where your having the problem I wouldn't be sure. Ok thanks for at least giving me a try to find, :} I guess I have to start all over. I wonder what about my typed. if I use a different site will that help? I can't recall what I did the first time, it went so smooth I did all what was expected. You find your latest SiteContent drafts when you on "website" on the left. Then you open the post you are talking about and see if it is published yet. If it's not, click publish again, chose a website, choose an admin and publish. Then I always click on "edit in WordPress dashboard"
There I set it as a draft again, do some final editing and look at the post on "view post" and when I'm satisfied with all I publish it. I wish to add content from a not-for-profit website that has granted permission for it to be used under Creative Commons license, but Site Content recognises it as non-unique meaning that Google won't like it if I go ahead with it. Any thoughts on how I should proceed with this? You should take a screenshot of the duplicate text and add the image instead of writing it out. I noticed that if I create a site post by logging into wp, it doesn't register on the site content. I've created a draft for a new post, is there any way I can access it via WA? or do I need to delete the draft in wp and start over from the site content area? Always start from SiteContent - it's one way, aka SiteContent to Wordpress, not the other way around. Oh ok! Now this makes sense. Thank you so much! I really appreciate it. Once you publish it any editing is in WP. You access this either by going back to SiteContent (where you will be forwarded to WP) or straight to WP. When you edit the changes will not go back to SiteContent so don't be surprised if you go back there to reread it. Thank you so much! I needed this because I was so confused, lol. Well, I've learned a lot just through the comments! And I totally get it. Much smarter to work through SiteContent. Now I just have to take some time to post new content! Hopefully, next week. Am traveling for a few months so it's tricky to schedule. But I know it's important so will give it my best shot. This new system will surely help! Hi, I have just decided to do the Bootcamp Training after doing the first course(Get Started Here). I want to populate my 2nd website that I created for WA through the Rubix site content. However Rubix keeps taking me back to the first website that I created. Can anyone tell me how to change this? Hi Sue, do you currently have 2 websites listed when you open SiteManager? If you do then you need to delete the one that you are not going to be working on. There is little point in keeping it since you really want to focus on one website at a time. Open "Details" to the right of the site that you no longer want and scroll down to the bottom and select "Delete". Why you get redirected to the first one every time you try to log in I don't understand. For that, you might want to contact SiteSupport. I think if you have two websites already there is no need to delete one. You never know if later you want to come back to the first one and by then this one is already ranked and has some credibility for Google. Thanks Zappades but I have already deleted the first one. Has anyone noticed this type of situation as well? Also, if we use a template that has the same section headings does this pose a problem? For instance, if you are reviewing several different mountain bikes, in different posts, and you have a template with 5 or 6 key points, is SC picking this up as duplicate? Just wondering what others are experiencing. Right, for the actual affiliate disclosure page, but what about within the body of your actual post? I wouldn't add the disclosure on every review or you'd need to rephrase it every time. The subtitles I would also try to differentiate a little. Google cannot read and differentiate what is duplicate on your posts but it recognizes them. I used to put my affiliate disclosure in my review content but, I occasionally forgot to add it in. So, I put it in my sidebar and I don't have to worry about it anymore. From what I understand it has to be within our content, as close the to the affiliate link as possible. Is your site really compliant with FTC requirements? Yeah, I would love to have some training on this. Is your site really compliant with FTC requirements? If you look at Jeannine's comments, she is pretty dialed in. I have decided to put the disclosure in every post, so I don't miss an affiliate link. I do have an affiliate disclosure in my footer, but after reading the FTC guidelines, it doesn't sound like a link to that disclosure is good enough. You can make the disclosure as an image, then the words do not get indexed. I have not been experiencing that specific problem, but I have been experiencing website errors recently when writing my content so maybe it is not your content at all? Well, that is an interesting thought. This is the first time I have experienced a duplicate content message. I will see what happens going forward. Thanks for chiming in, I appreciate it. Steve, glad you put this link here. There is so much stuff in WA this is a good way to find what you haven't encountered before. I agree that it needs to be prominent. Reading the FTC guidelines it appears a short reference sentence, specifically noting disclosure, linked to the widget is fine. It's what I would do. If you put your Disclosure in a Side Bar Widget, it is clearly visible for every Post and Page. Not if you have a full page template. I put it in the footer then it is always visible. "As for where to place a disclosure, the guiding principle is that it has to be clear and conspicuous. The closer it is to your recommendation, the better. Putting disclosures in obscure places – for example, buried on an ABOUT US or GENERAL INFO page, behind a poorly labeled hyperlink or in a “terms of service” agreement – isn’t good enough. Neither is placing it below your review or below the link to the online retailer so readers would have to keep scrolling after they finish reading. Consumers should be able to notice the disclosure easily. They shouldn’t have to hunt for it." The second paragraph tells me that if you don't have a sidebar to place an affiliate disclosure near the top of any page containing links to product reviews, you should place it in the article prior to any product link. Putting it in the footer is not adequate. I don't know for sure. I will have to check out some big blog sites how they do it. That is a good question, I am not sure. Just because big blog sites do things a certain way, it doesn't make it the "do all - end all" for being correct. They may be just big enough that nobody messes with them. I agree that websites are in "international territory." But, if you are in the U.S., that would mean that not only do you have to comply with international law but, ALSO U.S. law. I have never had that problem myself, I don't use templates for the reason they start to make all your posts appear the same which I feel your readers might bet bored with your site and stop coming to read your posts. I was just curious I seen your post which stated you was not from the US, how did you ever get to Thailand and are you happy living there? No problem, and yes I am very happy living here. I have always wanted myself to relocate to a warmer climate as well, I do find Asia to be a possible relocation for me in the future. That sounds like a good idea...How do you do that? Hi! I feel like I'm going crazy again. I have a post that I just got an affiliate for...finally. I know how to add a links to my site because you can see the rest on my site..I have word content I want to add with the affiliate picture. I try to copy/paste with my mouse and all it does is delete a blank line. I've even tried to copy/paste using control c & v. That doesn't work either. I can't even copy/paste ANYTHING! Do I have a button to mark/unmark on my post dashboard page? It's not just in WA this doesn't work. It's any program on my computer. I even tried a dif't mouse. That didn't work. I'm out of ideas.I don't understand all the technical stuff! Open to suggestions, please? Thank you! I think you should take a screenshot of the pic, then save it to your computer and then upload it to site content. Try to use the keyboard shortcodes. Cntrl-A to select all, Cntrl-C to copy, Cntrl-V to paste. Cntrl-X to cut. Thanks for responding! I have tried cntrl c and cntrl v and that didn't work either. I'm currently trying to figure out which version of Windows my computer runs on because I was looking at windows help? I know it's an older version. Unfortunately it doesn't say it in BIG BOLD LETTERS. Just looking for it. Like a needle in a haystack for this non-teckie! I am again feeling a little overwhelmed here as my writing skills as far as coming up with the content is quite lacking as well as my knowledge of the niche I picked. I feel as if I need to take a writing class as well as gaining more information on the niche I chose! Do you start writing your content by doing keyword research? follow any of the SEO best practices. Your job is to keep simple to help people solve their problems if you are writing content like you are trying to help a friend, it will come easier to your content. All you need is applying a little of the technical and marketing best practices. Guys, I wrote a post for a theme I no longer use. It is listed as published. Do I copy and paste it to another template, how is this handled? I want to use it on my new theme. Another issue, I included a graph on another post and saved the post. When I opened the post to add content, my graph was a single column about 2 feet long. What the.....? Oops to prevent a spam cry, what that means is, what the cheese and crackers? When you change themes all you content shows up within the new theme. You don’t have to copy and paste any content that was published previously. Cheryl, you are better off asking SiteSupport or sending Kyle a PM. SiteContent saves automatically as you type so no worries there. Do you have a Theme where your posts automatically go into Home in your Menu? Do you have a Main Menu? A Menu is necessary for your Posts or Pages to show up on your website. They will go to your Dashboard under Posts or Pages when saved. From there, you have to direct where they should go. If you don't have a Menu set up, there is training here on that, from Kyle and from other members. Let me know if I can help further. For different reasons, my typing skills have deteriorated recently. As such. I often use Dragon Naturally Speaking to dictate my writing. My documents are usually saved in MS Word. Am I able to import a Word document into the Site Content platform? Or, am I able to use Dragon within the Site Content platform to dictate my articles? Sorry to hear about the challenges you have gone through. I am not sure if you can use Dragon with site-content. But I would suggest you use the first option i.e. get your articles on MS Word and paste it to Site-Content. If you encounter problem, then just paste it directly to wordpress site. It should be working by pasting it to site-content before publishing it to your wp site. I don't have Dragon Naturally Speaking but I do use the Google Speech to Text program on both my tablet and Android phone to dictate directly into SiteContent so you might find Dragon will work as well. I also know Kyle uses Dragon for all his content which would suggest that it works for SiteContent as well. I haven’t tried this yet,but certainly willin my next writing session. Thanks for the info Joe. Sorry, I should have thanked Alan Hocking for this last bit of advice and also Joe for his comment re: cutting and pasting from Word. I use Dragon NaturallySpeaking all the time in site content. Running version 15. In fact, I'm using Dragon right now. Thanks Labman, I appreciate that. not sure if you received an answer I don't know much about Dragon but I sometimes copy and paste my word doc to the Site Content platform. Thank you. That is in fact what I am now doing, in response to the suggestions received here. As a newly premium member, for my owning understanding. If you had registered your domain either existing or registered there in WA, better still registered your domain on Site Rubix. Go to Sit Rubix click on site manager all your domain are there, both old and new, click on move on your old domain, a dialogue box, click icon that will show if you had registered on site rubix or existing domain, it will show click on the your existing domain everything will automatically move, from there continuing working on you web site. or better still got - Get Started Here - click Building Your own Traffic producing website - go through Lesson 2: Move on Over, My Brand has Arrived. is very easy to do try out. I too am a new premium member. Thank you for the instructions. It worked! I have just realized that pics created here with site content slow down the post a lot. When I reentered the same pics with the wp editor the site was fast again. I really don't understand how this happened but after publishing the first some posts with pics added to site content my posts started to show a very slow loading time. Today I tried the same pics that were already added to the wp media selection but added them after publishing to wp the problem didn't occur anymore. The site has a great loading time. before 62 now 92 on a desktop. Stefan, what I do is take a quick peak at images in SiteContent. Then note down where they come from and add them in WP. I often edit them so I find this the best way for me. I have found out I can use them and even download them but before really publishing on WP I there delete them first and add them again with text and all, then everything is perfect. There are always alternative ways. Just think laterally. Ok, so I'm stuck. I initially created a website, on my own domain. Published a couple of posts, works fine. Now, I'm doing the Bootcamp and have created another website, as a sub-domain off of the first one. I'm at the point where I need to do my "About Me" template. How do I know this new About me page is going to my second website and not over-writing the "About Me" on the first website? Is that clear? I'm not sure about your question. You could always go to the site and see where your links take you. More importantly, I'd encourage you to just work on one site at a time. Wait till you get the first site profitable before working on the second. This was advise given to me by DomW and it's served me well. Rob, having not done this myself I am only offering a suggestion. I think if one site is a subdomain of a domain, it is interlinked and not individual. Therefore any article you do will override one of the same name. Why didn't you just buy a new domain? WA domains are very reasonable in price and this complication most likely wouldn't have occurred. As I said, my 'opinion' only. Maybe someone else will come up with a better one. A subdomain is managed just like any other website. You can go into SiteRubix, Site Manager and it will appear in there as a separate website to manage. In SiteContent when you are writing your About Me, both sites will appear in the drop-down when you go to Publish. Make sure you publish to the right one. It should be fairly obvious because one site will be named something like yoursubdomain.yourdomain.com and the other site in the list will be yourdomain.com. That said, I don't recommend you doing the Bootcamp as a subdomain of your other site. If there is some relation in topics, then that would be a different situation. I would just start a new SiteRubix subdomain for the Bootcamp site. Then you can move the site to a domain if you want to continue with it. Steve, thanks for this. As you might have noticed I know nothing of sub-domains. However your idea matches mine in getting a new website domain for the WA bootcamp site. That's what I thought about Domains and subdomains. I would suggest a change to WA that you are offered the choice of which site in a drop down before you go to publish, potentially lessening any confusion. Now, just to be clear. I have steppingstonesforhealth.com for my posts on low back pain which I will connect to affiliate programs that relate to the subject (reviews on mattresses, massage products, etc.). Now, i am creating financialhealth.steppingstonesforhealth to use for referrals and to write about WA. Is there a better way to do it, in your opinion? You might want to use the idea of "buckets" in Site Content. You have your "About Me" template in Site Content. You then create a new document in Site Content, using the "About Me" template, you then edit that 'new' document because you have some different things to say (about why you are in this niche which is different to the about why you in the niche for your first website). Save that to a "bucket" in site content called maybe sub domain dot your website name dot com (replacing dot with a . where necessary). Then take the option in site content to save it, spell check it and make the necessary changes (if any). Then save. Then publish. I ended up buying another domain. Seems to be easier that way. Thanks for the advice! That would probably make better sense from a marketing viewpoint anyway. You might consider using a sub domain called "sandbox" dot one of your domain names. And use that for learning and testing purposes. That is one thing that I do. That way, if I make a mistake, it is okay, as it does not affect the live production site. Hi Rob, when you publish a post and you have more then one website it will ask you to which site you want to publish. You'll see a drop-down menu listing the sites that are set up. Choose the respective one and publish. I saw that you already bought a new domain, but wanted to comment anyway because I had a similar situation. I ended up transferring my domain from GoDaddy to WA and then moving the content I had created on the subdomain to the newly transferred domain. Just an idea if you wanted to do that in the future. There are a lot of articles and training on how to do that from others through the WA search bar, but feel free to PM me if you have a question because it is a bit complicated. I hope your new site is working out for you! I'm looking forward to you guys adding our WA Blog as a site to publish to within SiteContent! It's moderately annoying to have to CTRL+A, CTRL+C, and then CTRL+V into the WA Profile Blog editor. Also, I tested Site Content with Gutenberg, the completely new, next-gen editor that will be part of WordPress 5.0, and it worked great! Actually, it won't really save me that much time! It's more of an annoyance. All of my WordPress blogs are in the drop-down, it would be nice for my WA Profile blog to be there, too. Yes, I can understand how you want your WA profile blog in your profile menu, I know from my own experience those menus depending on your theme can be a real headache at times. I got so fed up with my theme I chose a new theme, I didn't lose any of my work which surprised at the time. I guess I'm not really explaining myself properly. What I'm trying to say is that I want to be able to use SiteContent to publish directly to my WA blog. I agree, but I wish BOTH these options would be added to SiteContent's "Publish" dropdown menu! Angela, are you doing your content under the SiteContent in SiteRubix (to the left of here)? If so you just open the template for the privacy page in the website you need it for. If you need help let me know. As Helen said, click on SiteRubix blue button and Site Content. I have 3 websites, so I now make use of Buckets to organize posts. thanks everyone for helping me clear up my problem! I’ve published two posts. But when I go into the site content page it tells me that only one is posted and two others are not. I’ve asked site support to help me and they have told me the one post, “Horse grooming products” is actually posted, but it says on the content page it’s not. Can you explain to me how this is? Hi Cal, I'm not a master yet with SiteRubix but maybe if you went to the post that is "unpublished" and try and publish it again. If it is, then you can either delete the duplicate post from the WordPress back office or it will overwrite it. You can then check your posts to see that only one has actually been posted. Thanks Brian, will do. Still fairly confusing to me but will keep at it! No problem, Cal. It takes awhile to get used to all the attributes of this online thing. Just playing around and exploring is what teaches me the most. That’s what I’m finding too. Thanks. Just need more patience. I’m such a dummie when it comes to all of this! Hi Cal, just checking in to see if you managed to come right with your published / unpublished posts? Hi Brian, I think I have. I did post an article yesterday. It says it’s been published. Still need to learn more with the keywords. I am starting to understand it somewhat better though. Still unsure of how the ranking and all that works. Thanks for checking in. I appreciate it! I am still learning/training and I am at the point where I am going to add site content. This is where I am getting very confused. Everything is about writing, articles, the number of words...my site/niche is about a product, a product to sell. Wouldn't my content be products? Images? I feel like i've missed something along the way or I need to be patient and my training will get me there? Casey, to get readers to come to your website, to possibly buy through your affiliate links, you have to write posts or articles related to your niche. Some people put products with their links into pages, and do a review on the product on the same page, keeping their posts for ad free articles related to their niche. That is what I am doing for my second website. You will be writing articles or posts, with keywords that people search for within your content so it all looks natural. Some people will use their posts to do reviews on products, but if every single one of your posts is full of affiliate links and product reviews, Google may see that as spam and not rank (pay much attention to) your website as well when your readers are searching for a topic. Pages go into your Menu, and Posts go into your Blog roll or Home landing page. I hope this makes sense? I suggest that you take a close look at other websites when you yourself do a search on Google for something :) It will make more sense then. Thank you @Maddy55! It doesn't make complete sense yet but I'll get there! :) My product is for Woman, men, girls and boys. I understand the part about writing a post about the product. But how much do you write? I did look at other sites within my niche and they come up with e-commerce sites. Products and prices and not alot of articles, if any. Maybe I chose the wrong niche? Have you picked one product only, for your website? E commerce sites are a bit different than an affiliate type of website for sure. Affiliate sites are focused on bringing readers to your site through your interesting articles and reviews. I have seen many E commerce sites (on line stores for those that are confused what e commerce means) that also have Blogs where they write interesting stories or informational posts. I am sure all those blog posts have powerful keywords in them to bring Google searchers to their store. I am also sure that the descriptions for the products in those stores, have keywords as well otherwise how would that store come up in a search, right? Experienced website owners here say to write articles that are about 1500 words or so. Google seems to favor longer posts with quality content. Just the fact that those e commerce stores popped up when you did a search, means people are looking, using the keywords that are in their product descriptions. Without knowing what your product is, I cannot give more more specific advice. I think (but don't know for sure) that Google sees on line stores differently than it does affiliate websites. Ultimately you want to sell products, but nobody really wants to be "sold to". However, most people do have issues or problems that they want help with. It the case of particular products, the issues are likely to be related to what the product *does* (or can help with) rather than what it *is*. So rather than focusing on, say, a line of food processors or crock pots, your initial content should be along the lines of "How to get a perfectly smooth puree every time" or "Is it really safe to leave your crockpot running while you're at work?" This is the kind of content that Google prefers - content that helps readers solve problems. Keyword and audience research will help you determine WHO is likely to buy the products your promoting, WHY and HOW they use them, and WHAT words (search terms) they use when looking for information related to the Why and How. So you should build up this kind of helpful content as much as or more than the product review stuff. And within each article, you can include some soft selling such as "If you're not sure which food processor might work for you, there's more information here" and link to a review page. Your About Me does not have to be very long at all. The SiteContent has a template that has suggestive guideline titles to get you started. Once you have written a short About Me or just About (about your website), don't leave in the template titles. I have seen many beginners leave those in and they do not look good left in the article. Yes, when you click Publish, you will be prompted to choose a website, if you only have one, only one will show up. Then you will have the choice of just simply Publishing your article so that it goes 'live', or you can Publish and send it back to your WordPress dashboard to put in the finishing touches (that's what I always do). SiteContent will send your article to your website, there is no worries about that. You will see it when you go into your dashboard under either Pages or Posts, depending on what you intended. That is another choice, make sure you pick the right one :) Posts go into your blogroll that you create or automatically into your 'Home' landing page blog roll for many Themes. My Theme always creates an Automatic Home blog roll and puts all posts there. The pages will go into your dashboard under PAGES, and won't be seen on your website until you make a Menu for them and put the pages into your Menu. What are the parameters used in SiteContent for your site to be indexed by Google? I published a post about a week ago and I still haven't received a message to say that it has been indexed. However, in Google Search Console the post is listed in the Analytics section under 'Page'. What does this mean? Am I comparing apples to pears. Have you done some sharing on social media or linked back to the post from newer blog posts? I've been publishing 3 posts/week. Good point about the Social sharing! I usually do this from the WP platform straight after I publish a post but seeing I published from SiteContent, I think I missed this step. Thanks man! I'll do that now and wait a bit for that email. I'm still trying to figure out best practices between SiteContent publishing vs WordPress publishing. Hoping that Jay's session tonight will address some of my concerns. As per anything in life, including me, the spell/grammar check needs a bit of tweaking. I keep getting word suggestions that don't fit the sentence. For instance I wrote, 'I think that the idea was great ...'. The ABC suggested 'thing' was more appropriate. Just wanted to let you know. They are never perfect, they make suggestions but not are all going to be in line with how you write. That is just the nature of the beast and with grammar check. It is a very advanced platform for checking spelling and checks or hundreds of sentence structure checks on top of just grammar/spelling. Kyle, I get your drift but I seem to be batting with 'Ignore'. I once organised a seminar with Peter Sandman speaking on risk communication. This was for our department but we invited representatives from many of the groups we interacted with. When I wrote the agenda to send out I got the following word/grammar suggestion. Sandman is not an appropriate word. Please try sleep fairy. (Now-a-days fairy is probably inappropriate too!) So I introduced him as Peter Sleep Fairy. That got a big laugh even from Peter. Mind you I did warn him. When you post an article, is there a facility to choose which page on your website it appears in? I'm assuming there is no 'copyright issues' with any images you can access via the platform? Having written all my pages within my site without using this platform, would anyone recommend 'transferring over' via this platform? 1. An UNDO last action function. 2. Different writing goals for different websites, including one for WA-profile posts. That way Hubby and I can have separate goals, each for their own websites. A global total over all the websites would also be nice too. I have 4 saved templates. I can write but I'm not a writer and I'm not familiar with how to structure a blog post/article. For example I never would have known to use those 7 headings for a product review. Where can I find and save article/blog structures that I can populate with my content? Look at blogs that you like and admire. This might give you some other ways to structure content. I have been using word to create my content then checking grammar with Grammarly. I recently tried the Site Content for the new website I am creating and found it very comprehensive. The only thing missing right now is how to add images, but I am sure that will be worked out shortly and explained. Hello Tiziano, I had totally forgotten about that button. 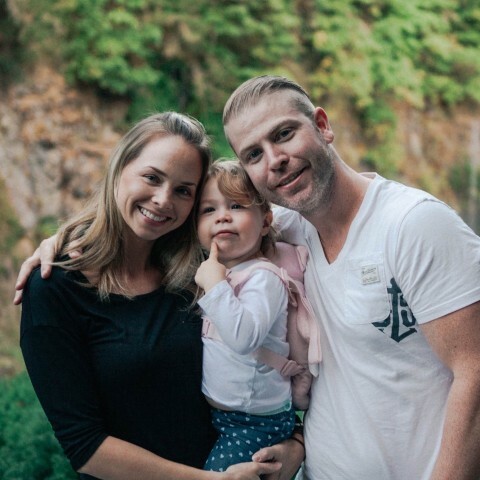 When they first launched SiteContent, Kyle spoke about it. Thanks for waking me up. Excellent Overview of "The Complete Walkthrough Kyle About the template feature. another sample template for future use,or will this one be saved. How do I save the original template after using it? If you open a template and start adding your own text... when you hit Save it will be saved in your My Content as a new file and the Original Template is not changed and remains in the Template area. So you do not need to save the original template, it remains in there anyway. My latest post in Site Content looks different than when I log in and edit it through the dashboard. The site content version looks like an older version, but when I published and got out site content it showed the newest, finished version and had a higher word count. Wonder why it's showing an old version now? Also, when I just go to the website to view it, it has the newer version. Anyone have any insight as to why this is happening? When looking at stuff, remember when it was last saved to the system. It is possible that in one view you were maybe looking at an earlier version of the article, but somehow expected it to show the latest version of the article. Maybe a refresh would have retrieved the latest version. Okay, checking it again today it's still showing discrepancies. Going in through Site Manager it shows my post with latest version, 1043 words, all photos, all edits. Going in through Site Content it shows 853 words, no photos, no edits. It was published 21 hours ago. The funny thing is that I did the original post through Site Content and published from there and it showed the latest version. But I noticed like an hour later that it was different, an older version. Shouldn't it show the latest version 21 hours later? I checked the website from outside of WA and it looks as it should, with the latest version. It makes me nervous to use Site Content though. If you did the last update using Site Content, then this is one for WA Site Support. However a question, look for a difference between the two, some phrase in the "later" version, and look at that article in Site Content. It is possible that this phrase is there, and the "summary details are wrong", in which case WA support need to know so that that gets on a 'to do' list. I use Site Content to help me publish the original article, then once it is published over in WordPress, I do all my edits etc in WordPress after it is published. Everyone uses tools in different ways. Hi Susan, You ask for Site Support to help you. Sent you link and explain to them. They are very good to help you out. Great video from Kyle. I used sitecontent to write the about and policy for my website after going through phase 1, lesson 7 of Affiliate Bootcamp. I like the idea of having all my contents in one place. Hope in the future to have more editing features directly in sitecontent like in tinymce advanced. The vendor that I'll be promoting in Clickbanks provides a bunch of articles about the product. Is there any reason I should not put those articles on my website? I'm a newbie so I don't know all the Google rules. It seems like Google would consider the articles as duplicate content because other people would be using these promotional articles. Is that correct? Duplicate Content is a no go. May be the following link can help you : Important Information On Copying Content A personal promotion is certainly more useful to your readers. Google does not like duplicate content and you will instantly lose all credibility and ranking potential within Google as a result of this. This is absolutely going to curb any chances of success with your website. Thank you.That's what I needed. The link you provided was very helpful and very clear. Thanks Kyle for the training on the SiteContent. I'm a newbie but have had a desire to create a business for a long time. I was introduced to this my someone else I was following for another interest and followed the link to check out. I made a great discovery when I found this by accident. I have gotten excited over the simple steps for reaching the goals. I admit, I have to back up and look at the lessons again but I know it is a learning process that takes work. Just want to say thanks again for creating the opportunity to learn and enjoy the challenge!! I wish the features in SiteContent could be available in WP through SiteManage for writing and editing the article, post, or page so we do not have to redundantly write in SiteContents where may be incomplete and we have to transfer the "imperfect" work to SiteManage. So, please implement the features in SiteContents, especially the button for FREE Media (pic) and ABC-grammar checks. These two features, to me, are essential but not easy to use from SiteManage. Thanks for listening and implementing if possible. It is a wonderful experience using WA site content but it can be disappointing sometimes, like if you forget to do everything before publishing you can not go back to it to it later. And again very depressing when grammar checker hang_on on you, you will not do much . As site content is subject to constant improvement please considered these areas I hope it will improve. Good training, i feel i am getting use to the tools now and i am very pleased to able to have goals i can set up with time frames. I struggle with writing content but at least here i can attempt to work smarter and not harder to make a better flow to reduce the stress being a newbie to writing and all. Maybe it's just me, but it seems when I publish a post through SiteContent, it only adds one space after a period? Has anyone else noticed this? If I edit a post in WP after the fact, there is only one space. I just checked my blog also and this looks to be the case. It may be a compatibility issue with your theme and sitecontent. I do not have this problem with sitecontent but I notice for one of my sites when I publish a post through sitecontent, the formatting is completely off. I usually have to go back and re-edit the whole article to make the format readable. Ugh, that stinks. I have also noticed that the grammar checker will change stuff and then Grammarly will change it back when I edit in WP. Or Grammarly will pick up a decent amount more. I trust Grammarly more than Site Content's grammar checker. But if I didn't already have Grammarly, I would probably be more enthused about Site Content's grammar checker. One nice thing I like about Site Content is that it is a central repository for my writing. And the new free image search tool is awesome. A huge time saver. It's probably the main reason I start my writing in Site Content. I do my editing in the WordPress post editor of my website, where Grammarly helps "fix" my writing. I agree the free images are awesome. There are some really nice features with SiteContent. I use it for writing, then publish and edit in WP to embed videos, or whatever else I need to do. Definitely a work in process, but I am sure the bugs will get worked out. One space after a period is the new style. Tough for an old two space guy like me to remember. Okay, news to me. Thanks for the update. That is going to take some getting used to. Yeah, that is one way to use it if your sites are hosted on a different host. Ideally (and most people are) hosting their websites here within the platform, but there are certain some that host their sites elsewhere. This would be a good work around and at some point we may open it up to sites not hosted here, that just comes with a lot of complication and headache. There is an idea (wink wink)! What if you just saved the post? Then copy and paste to where it is supposed to go.. This way you don’t have to publish to a dummy site and risk getting indexed before it hits the site you want it on? I do this for articles I write for freelance sites. I don’t even use the grammar checker. I prefer to use Grammarly. I am annoyed that Site Content disables my Grammarly plugin. So I write in Site Content, then copy and paste into Grammarly app, do my editing, then either copy and paste back into Site Content if it’s going to one of my WA sites, or the freelancing site I’m writing for. A lot of copy and pasting. Ugh. That’s a good idea about team memberships, though. Way better than trusting your login to someone. Yeah, I have a 'do not follow' plugin for the test site and that is a step they have to take for the articles that will be posted elsewhere at the moment. I like the plagiarism tool SiteContent has but can understand that Grammarly will do the trick plus the grammar and spelling check for you. Maybe they could have a Team Access feature for just Site Content. Well, and Site Manager, Site Builder, and Site Domains. All things that you would want people you hire to have access to. But they would have reduced and controlled access. Surely I’m talking about a premium feature set you would pay extra for. Since they like offering new features at no additional price, perhaps you would just have to buy your team memberships (recindable or assignable) and they would have granular access to various things in your account. Hmm. I’m just thinking out loud here. But that’s how they could keep in the spirit of what they have already been doing, but allow team access. I have some tools that we use to leverage the mundane tasks so fewer people can do more. There is no extra charge for this but not all have this feature. I've been publishing all my site content through my dashboard and not one article through sitecontent. I don't think it was emphasized when I completed the training. I guess the training was updated. I don't think I will end up using it. I like the grammar/spelling checker though. What do you do to add your SEO titles and SEO descriptions when you use this sitecontent platform? Do you publish your post through sitecontent and then head over to dashboard and click on edit and then add the SEO Title and description? When you push to publish it will give you the option to edit it wordpress click that it will take you there. Do it this way or as you've already stated. I used the site content to write some articles. I also added some pictures to the article from site content. Are these pictures, by any chance automatically optimized when I transfer the article from site content to my website?. Otherwise, what do I have to do to have these pictures optimized? No, but once it's on your site and your site is hosted on WA here, then you're fine. Thanks for the reply. I know that the picture will appear on the site and that is fine. That's not the issue. Don't the pictures have to be optimized for speed purposes? is there a way to do it here before I post the article. That is what I mean, the WA hosting here optimizes your pictures too with SiteSpeed if you turned that on. This is the second run for me to review this video and I embedded more details into my mind now. And I will start its use. Over the past 37 days after joining WA, I have written all pages and posts through directly logging into my account - www.ebettercare.com, in my case. Thanks for such a wonderful overview on SiteContents. Can someone please advise how I switch between websites using my site content platform? That is, when I open SiteRubix and press Site Content it takes me directly to my content material created for my original website, I don't get an option to go to my newly created website. Hi, to go directly to your website you need to click on site manager, click site rubix, then site manager, then you can login to your website. One of these days, I'm going to get around to poking about in Site Comments, and this is great knowledge to have before-hand. Is anybody else having trouble with the site content platform? When I open my unpublished article it says loading editor and the nothing happens. It does not show the bar where I can change the heading or save my document. It also doesn't count my words when I'm writing. Am I doing anything wrong? Yesterday there were a few members having issues using SiteContent, so Kyle and Carson are aware of problems and I'm sure they have been busy trying to fix this ever since. Make sure to refresh your browser, empty your browser cache and delete your browser history before trying to use SiteContent again. This way you are sure to see any changes that are made to this awesome online tool. If your issues continue, try using another browser. Again, if that step does not work, you can private message Carson. Do be sure to let Carson know of ALL the steps you have taken in trying to correct any issues that MAY be caused by your computer or your chosen browser. If I ever have problems I usually sign out and close the browser. Usually, when I sign back in the issues are fixed. As others mentioned, if you continue to have problems reach out to Site Support.